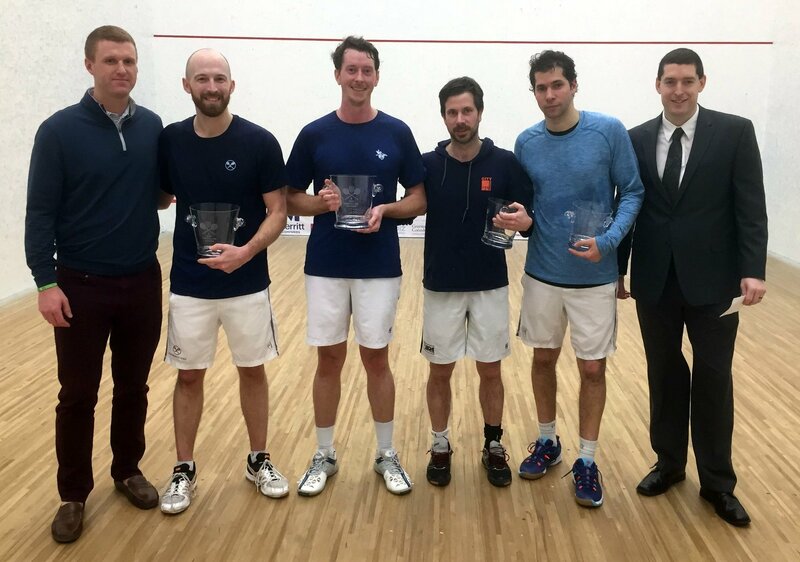 Bermuda’s James Stout and his partner, Greg McArthur, won the Squash Doubles Association (SDA) $35,000 Baltimore Cup over top seeds Yvain Badan of Switzerland and Colombia’s Bernado Samper. In their first match Stout and McArthur, who are ranked #3 and #5 in the SDA, defeated the U.S. pair of Joshua Schwartz and Peter Kelly (WR 46 and WR 50) 3-0 (15-9, 15-13, 15-12). They followed that up with a 3-0 win in the Semi-Final against 3-4 seeds, Canada’s Will Mariani and Thomas Brinkman (WR 10 and WR 22), 15-14, 15-8, 15-7 to set up the Final. Badan and Samper had a tougher Semi-Final which they eventually won 3-2 over U.S. pair Graham Bassett and William Hartigan by a scoreline of 15-13, 12-15, 14-15, 15-7, 15-8. The first two games of the final were a see-saw contest, but the third and fourth games were more one-sided. The first game was largely played in the back of the court but, as the match progressed, there was more play in the front half as more attacking play was predominant. Stout and McArthur won 3-1 15-12, 11-15, 15-10, 15-7 in a match that lasted 75 minutes. This was Stout’s fifth appearance in an SDA final this season, and his third victory. The pair won their last successful final 3-2 against Badan and Samper in December last year.